As we have mentioned last week that support for the stock lies in the zone of 492 to 495 where short term moving averages are lying. If the stock manages to close below these levels then the stock can drift to the levels of 480. During the week the stock manages to hit a low of 513 and close the week around the levels of 527. Support for the stock lies in the zone of 520 to 530 where medium term moving averages are lying. If the stock manages to close below these levels then the stock can drift to the levels of 495 to 500. Resistance for the stock lies in the zone of 535. 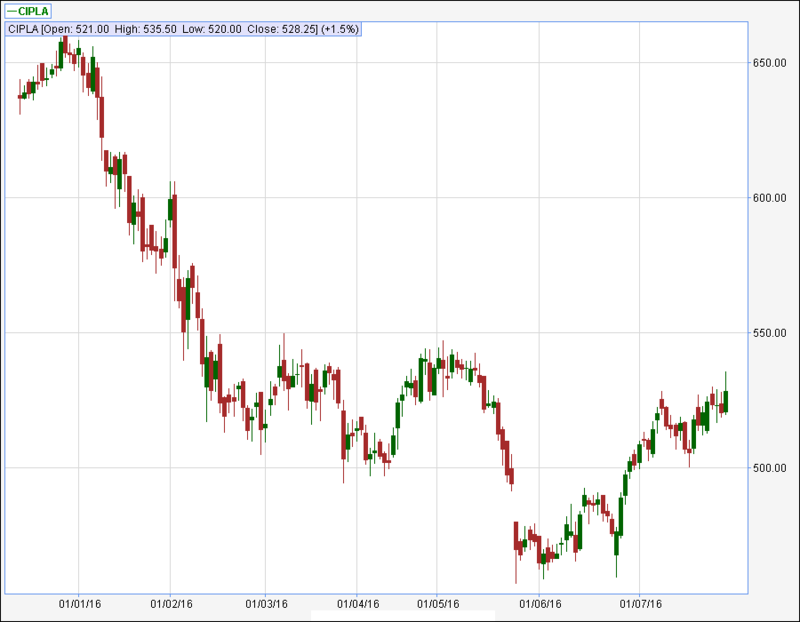 If the stock manages to close above these levels then the stock can move to the levels of 550 from where the stock has corrected in the month of March – 2016 and May – 2016. Broad range for the stock is seen in the range of 510 – 515 on downside to 545 – 550 on upside.